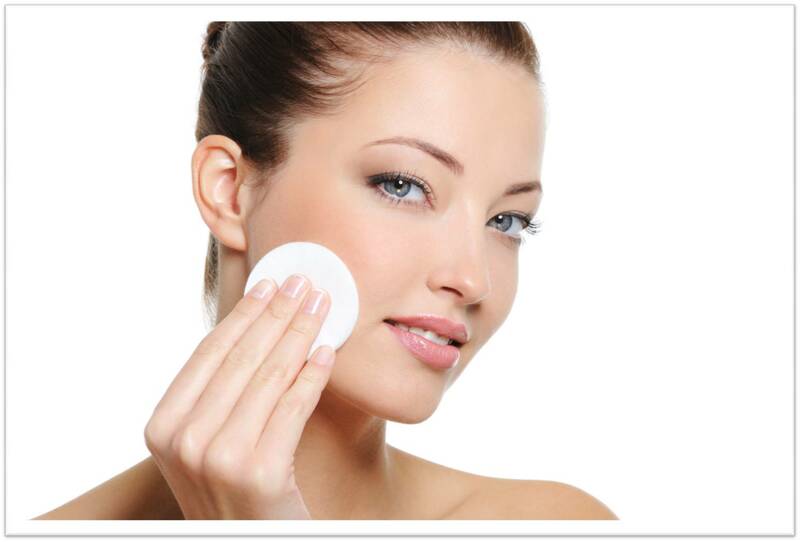 Blemishes are painful, irritating and can leave skin red and scarred. Not only that but they affect your self-confidence too, making you avoid social situations and miss out on all the fun and frolics life has to bring. Don’t let blemishes ruin your life! What are blemishes and what causes them? There are a variety of reasons why we might get blemishes, such as hormones, nutrition and stress. For one of these reasons or another, our glands start over-producing the skin’s natural oil called ‘Sebum’. When all this excess oil mixes together with dead skin cells they can clog pores, creating the perfect breeding ground for bacteria and ultimately creating a spot. There are several different types of spots. Blackheads are small, blocked pores. Whiteheads are small, hard bumps with a white centre. Pustules are spots with a lot of visible pus and cysts are hard, painful lumps under the skin. Unfortunately, if you suffer from very severe blemishes, you can get every single type of spot, all at the same time which is not only painful but can be embarrassing too. Dr Murad’s recipe contains anti-inflammatories, antioxidants and hydrators to ensure your skin is blemish free and looking healthy in no time! How to you combat blemishes? and killing bacteria deep within pores. This not only heals current blemishes but prevents any new ones from forming so you can be blemish-free every single day thanks to Murad! Hydrogen Peroxide kills bacteria by blasting pores with water and oxygen, spiralling deep down into the skin. This also allows deeper penetration of other ingredients such as Glycolic Acid which will reduce breakouts and Retinol which will exfoliate and stimulate cell turnover. This will leave your skin super-clean and completely free from blemishes and imperfections. Having a daily skincare regime contain ingredients such as these will get to the root of blemishes. Use the Clarifying Cleanser morning and night to remove blemish-causing bacteria and impurities, which can accumulate on your skin and deep withing your pores. Once you have cleansed your skin it is important to include a treatment step in your routine, like the Exfoliating Blemish Treatment Gel which penetrates deep within your pores for maximum effectiveness. Finally, finish with a moisturiser which replenishes your skin without clogging up pores or making skin feel greasy like the Skin Perfecting Lotion. For daytime, ensure you use a cream with an SPF to not only hydrate skin and prevent blemishes, but to protect skin from harmful UV rays. The Oil-Control Mattifier SPF15 controls oil production, reducing shine for a perfectly smooth and matte complexion. Looking after yourself on the inside is just as important as taking care of the outside. Eat plenty of fruit and vegetables and take Pure Skin Clarifying Dietary Supplements to ensure that you are getting all the blemish fighting nutrients you need for clear, healthy skin every day. 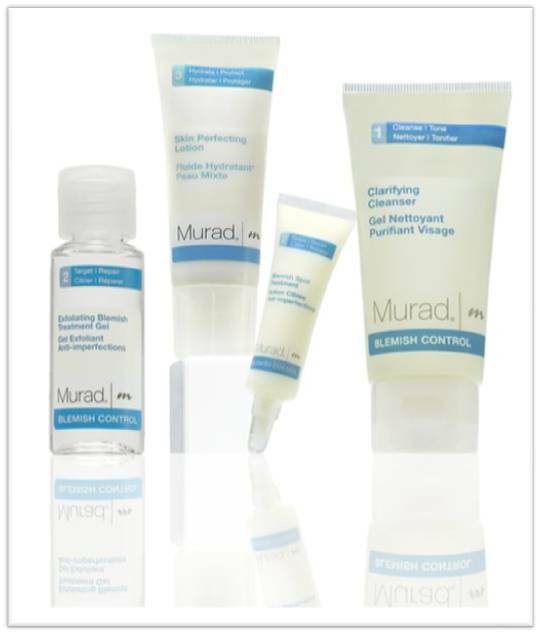 Never tried Murad before? Our Blemish Starter Kit is a great introduction to the range! This entry was posted in Acne and Spots, Topical and tagged Acne, Acne and Spots, Blackheads, Cysts, dr murad, Glycolic Acid, health, Murak UK, Pimples, Pustules, Skin Health, Skincare, Spots, Whiteheads by muraduk. Bookmark the permalink.